Also, don’t think of content as only text. Content in the form of videos, pictures, and technology algorithms that help a user find an answer (such as White Pages) are just as valuable drivers of traffic as text content is. That might seem a bit surprising, considering that we are constantly being told to blog more, write more, build content, refresh content, promote your content, and so on. Not to mention the top results in the search engine results pages (SERPs) seem to bear out the theory that text volume is key. 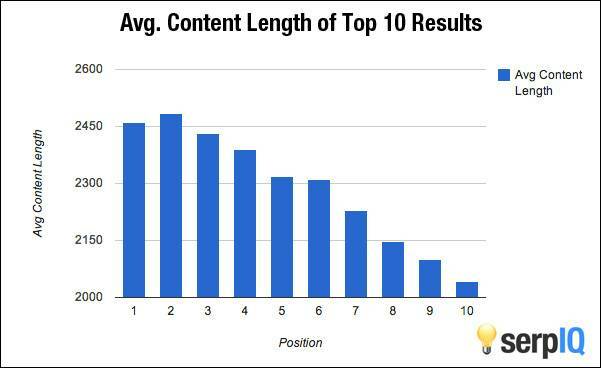 On average, a Web page that ranks on the first page of Google’s SERPs contains well over 2,000 words. That’s a lot of text content packed into an article. 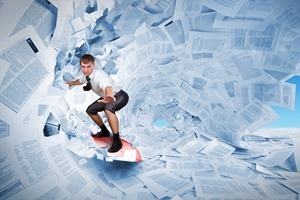 However, not every business relies on content as its main commodity. More often than not, businesses are selling goods or services; the good content is there merely to enhance what’s being sold, but it is not the raison d’être of the website. And some online businesses bring in immense amounts of traffic to their websites without much text content at all. Let’s look at examples of how some sites make that happen. You can see that the injections story (the one with the baby picture) has been liked 7,412 times, commented on 210 times, and shared almost 2,000 times. 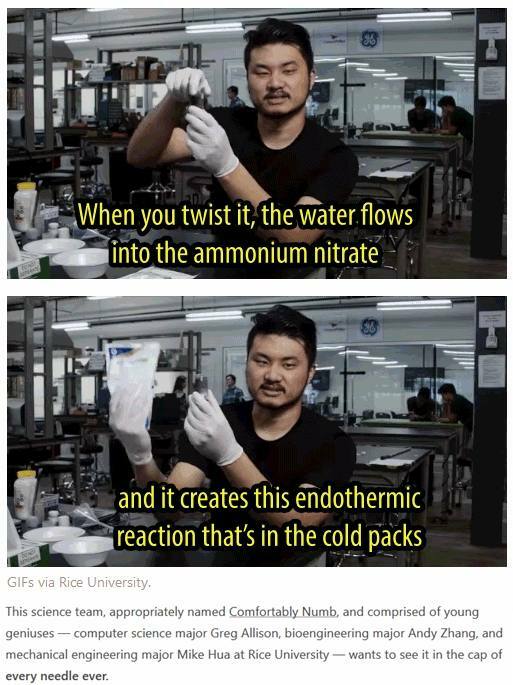 Yet if you click through to the story on Upworthy itself, you will see barely over 200 words of text; everything else is videos, amusing screenshots, gifs, and other non-text content. Actually, that Upworthy story was only in its infancy; at over 7,000 likes at the time of this writing, it is nowhere near the average 75,000 Facebook likes its articles get (12 times more than BuzzFeed). Yet, Upworthy produces an average of just 225 articles a month; compare that with Yahoo, which produces an average of 115,824 a month. Nevertheless, because of the staggeringly high numbers of click-throughs from social media, its articles rank high in Google search engine result pages. Google algorithms pay close attention to cues from social media. Almost as much as attention as they pay to actual content. 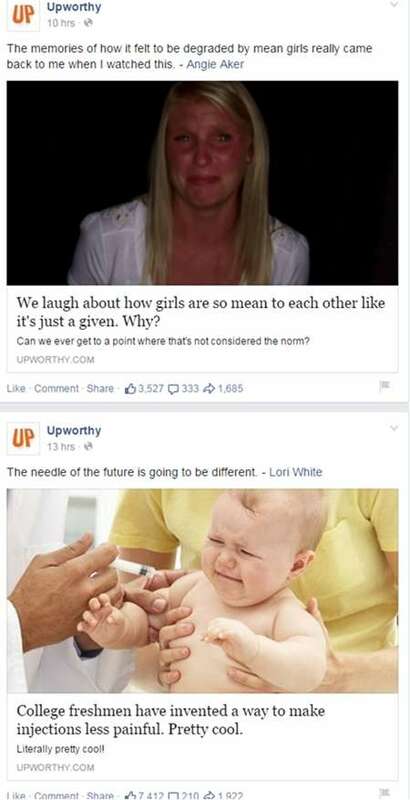 Upworthy has figured that out. Its main content/traffic strategy is to test each headline rigorously before launching a story to see which ones will collect the most social media affirmation. Upworthy has a powerful in-house A/B testing tool that sends sample headlines to test audiences and provides its story curators with feedback on the performance of each headline. Key Takeaway: Google ranks for social media cues as well as for actual content. Airbnb has great brand recognition. People travel and they need an affordable place to stay. Those who visit Airbnb are there for a very specific reason. They actively seek the site out because they have used the site before or because they’ve heard strong word-of-mouth recommendations. They don’t need to be pushed to click through with the lure of content. And the fact that searchers do click through pushes the site further up the rankings. Airbnb delivers on its central promise. It gives users a great experience when they are on Airbnb’s site, providing exactly what they are looking for (without loads of unnecessary text content to bog them down). When Google notices that the people searching for accommodation enter Airbnb and don’t return to the Google search engine to continue their search, it figures that users are fully satisfied and tags the relevant page and site as the right result for that SERP. That further maintains the site’s high rankings. In general, content is still king for driving traffic to your site, but you can still get your site to rank high in Google and bring in a healthy flow of traffic even if you don’t want to focus on content creation as the main part of your strategy. Here are some practical tips for increasing your website traffic without necessarily focusing on content. If you compare the sites with little or no content (such as Airbnb) with content-heavy sites, you will notice that they get much more organic traffic from search engines; that is, there are lots of backlinks (from other sites) pointing to myriad pages on their websites. Part of the reason is that these sites, although content-lite, are heavily indexed: They contain many pages, each with a snippet of relevant information or an image that a user is actively searching for. Apply the same principle to your own site, if you can, by creating multiple pages containing a small amount of longtail-keyword-rich content text to see whether your search engine rankings improve. This is a key point: You can’t just do away with text content if you don’t replace it with something else of equal value to your visitor. A company such as White Pages, for example, doesn’t have much content, but it employs state-of-the-art location technology on its landing page to help people find relatives or friends. Maybe you do want to focus on content as a traffic driving strategy, but you lack the skills, experience, or time to write content that has both the volume and the quality needed to drive traffic to your site. Take inspiration from high-traffic sites such as Yelp.com, Amazon.com, and even Upworthy.com. They build their content platforms in large part on user-generated content, such as product reviews and news, top 10 lists, and photos that users create themselves. The SEO landscape is changing; and, as ever, Google is leading the charge. It has started to place more importance on the social media authority of a page in its search engine ranking algorithms. In other words, Google is looking closely at how many Twitter followers tweeted or retweeted about your last blog post, how many Facebook “likes” it got, and how many shares you get on Google+. The more popular you are on those various social media sites, the higher you rank on its search results. Create and upload podcasts, videos, image slideshows, photos, and other images that have an innate “shareability” about them (i.e., people will want to share them on social media). But here’s the thing: Sites like Mashable.com, the New York Times, and Huffington Post have the resources and the motivation to stuff their pages to the gills with high-quality content—which is the very commodity those sites are “selling,” and so they invest in maintaining its quality.